Hey folks! 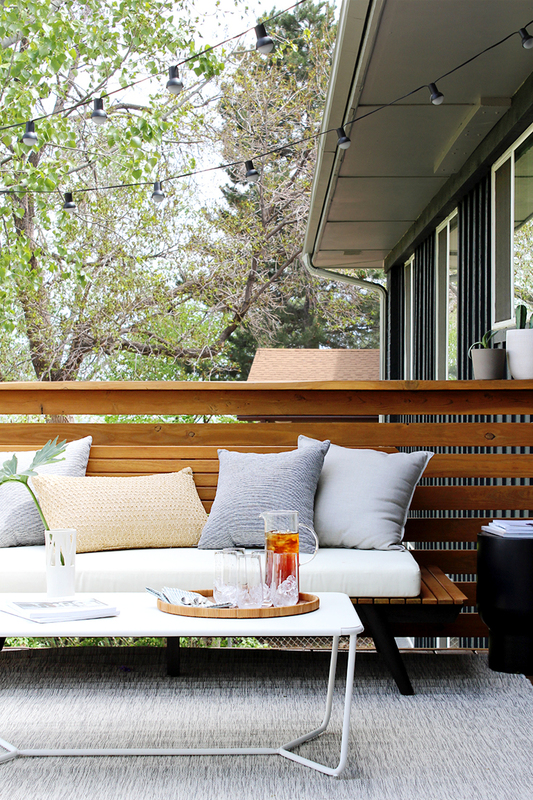 In case you missed it, yesterday we revealed our DIY deck makeover using Feeney cable rail and today I’m sharing all the details on our modern outdoor decor you’ve been asking about! 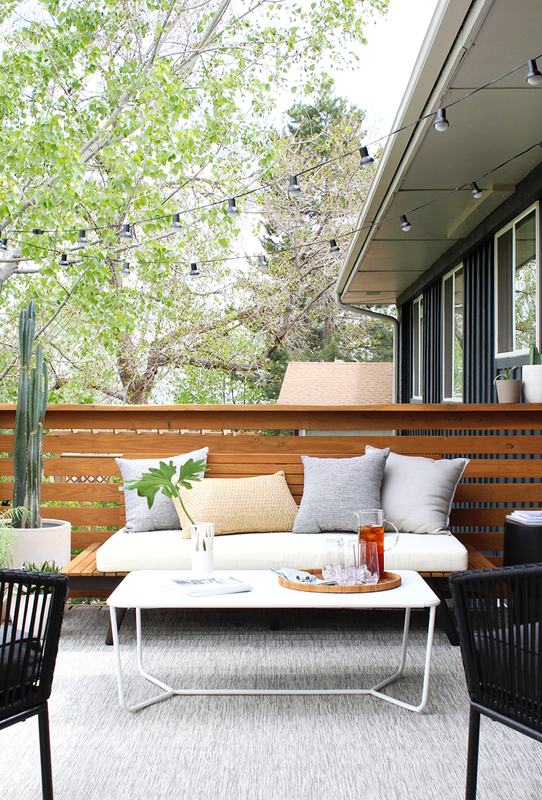 I wanted something that was low-maintenance and relatively neutral, while keeping to a very small budget (outdoor furniture can get price-y!). 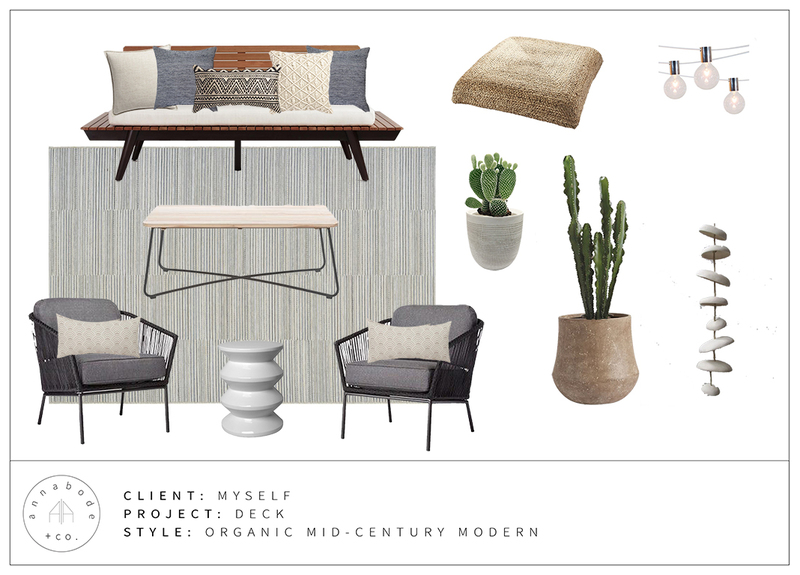 The exterior of our house is leaning a little more “west coast modern” than my own personal style, so my aim was to blend the two looks together with some natural elements and mid-century inspired pieces. 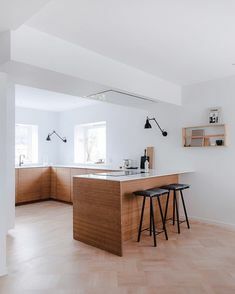 This post is sponsored by Rugs Direct and contains affiliate links. As always, all opinions and design are 100% our own. Thank you for supporting the brands that allow us to bring you inspiring content! 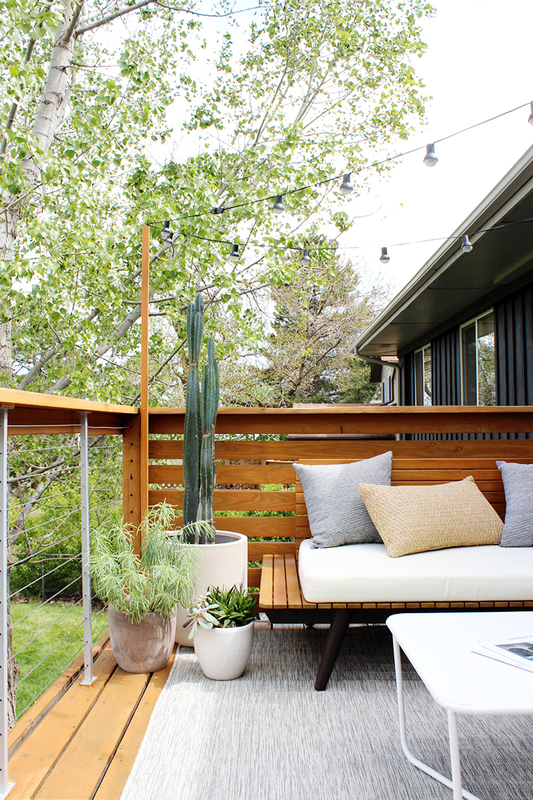 We sanded all the old wood, stained it with Behr’s Cedar Naturaltone Semi-transparent stain, added horizontal slats to the ends for privacy, and installed the cable rail to open up our view. That alone was a huge improvement! But of course we had zero furniture and a huge deck to fill, and not a lot of money left to work with. Challenge accepted ;). 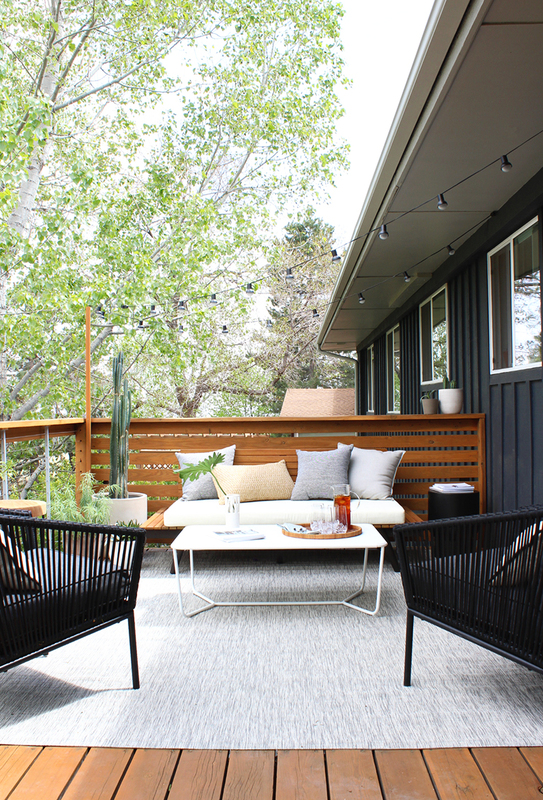 I had also spotted these Target chairs in Emily Henderson’s deck makeover and knew I had to have them; I liked how they echoed the black of the bench and they looked super comfy (verdict: they totally are). 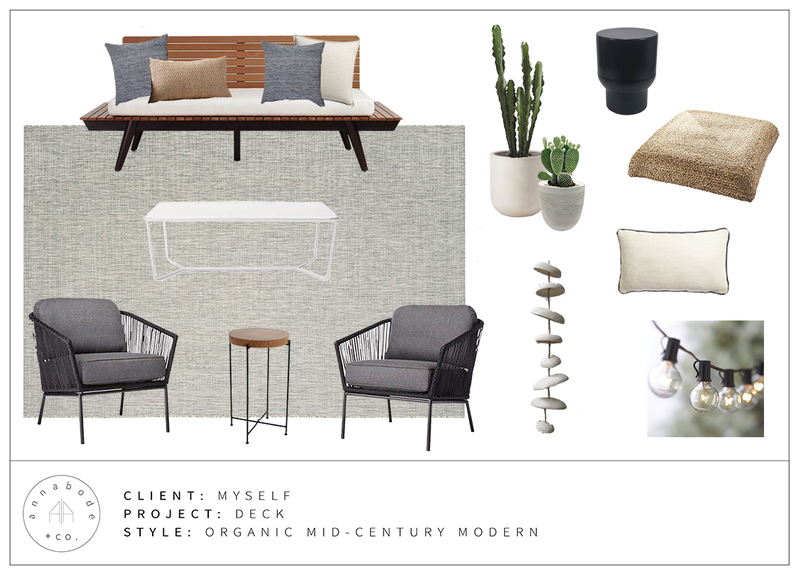 Overall I was pretty satisfied with the design — there was lots of texture with the jute floor pillow, bisque wind chimes, glossy side table, etc. but some of the pillows weren’t jiving with me and a few of the items I thought I could source for less. I was also really impressed with the quality; sometimes outdoor rugs can be too plastic-y but this one is soft and lovely…so much so that it could easily be used indoors! Definitely a good option for under a dining table or in a playroom. I wanted all the furniture to sit on the rug so we went for an 8’x11′, which is only $311 (and as a special thank you for reading our little ol’ blog, you can click here to get 15% off your order)! 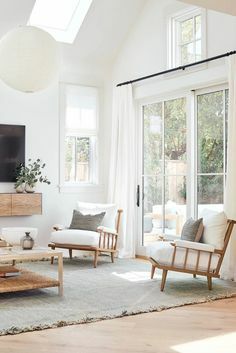 Although I loved the Article coffee table, this one from Target is less than half the price and I liked how it brought out the white of the bench cushion. I warmed up the space a bit with this end table which although it isn’t an outdoor table per se, but the top is made of teak which is naturally rot-resistant and so far it’s held up beautifully through the rain, snow, and hail storms (!!!) that we’ve had so far this month in Colorado. In the end I didn’t end up using the floor pillow due to lack of space, but brought in a $1 rattan tray from the thrift store instead. The wind chimes I haven’t hung yet but they are so beautiful in person and locally made. I did swap out the lumbar pillows for the chairs to sprinkle a little more white around the space and tie everything together (those chairs are dark, and so is our house). And I grabbed that black end table on a whim at Target ($49!!!). Finally, we hung some string lights by nailing a stained 2×2 to one of the deck posts – the ones in the photos are actually from Target but I can’t find them online (boo). Altogether this space cost us about $1600. 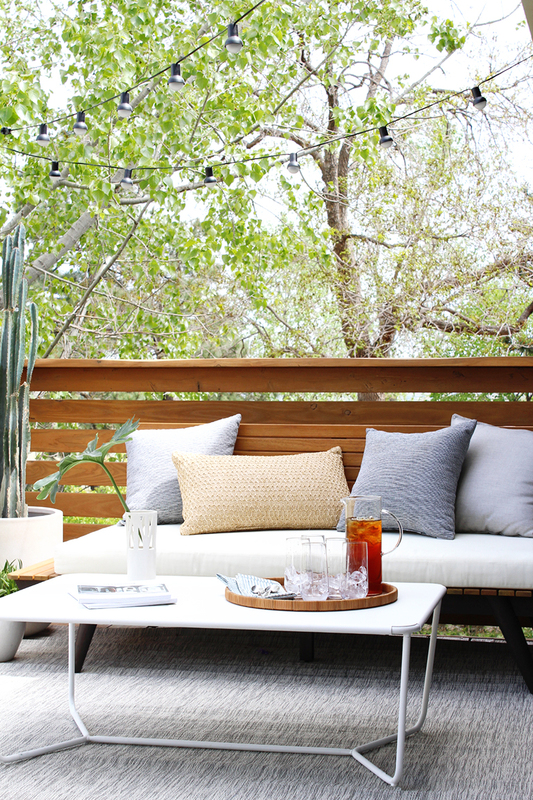 I’m sure I could have done it for less but I wanted higher-quality outdoor pillows that I knew would last a while…and I couldn’t pass up those wind chimes! What do you think of our deck makeover? Would you have done anything differently? Also am I crazy for having so much white in an outdoor space? It is really an amazing and cost effective idea. I was under so much stress that how can I make a perfect outdoor seating is a low budget and I find your story which is really helpful. Anna, I just discovered your blog after your article in sunset magazine and I was pleasantly surprised to find that we are neighbors! (I’m near Bear creek). 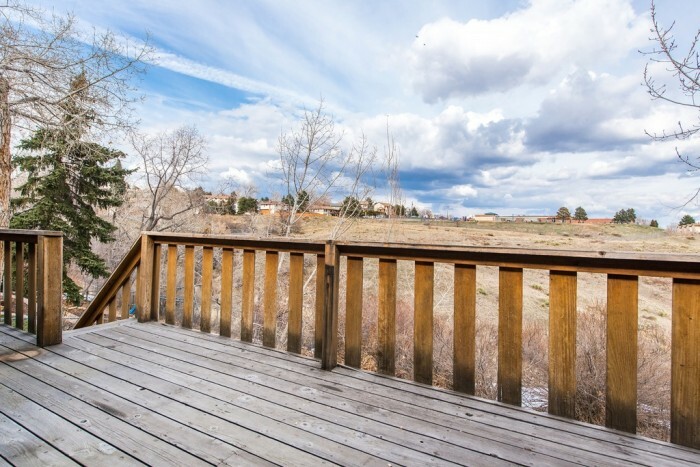 it’s so great to see an inspired outdoor area that works in a colorado environment. Have you had any issues with wind? I’ve been nervous to put too much out on our deck because of the ferocious wind storms that can rip through without warning. I am absolutely loving this look though, well done. Sooo good. Just gojnd you from hither and tither. So enjoying reading mkre!